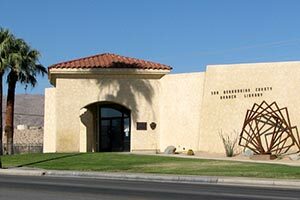 The San Bernardino County Branch Library in Twentynine Palms is a longtime resource for locals and visitors of all ages. The library has a “Book Oasis” in the lobby, with new and used books for sale, and offers many research sections and reading rooms. Also available (besides lending books and reference books!) are computers with Internet access, video/DVD rentals, periodicals, and a children’s area. The library offers Summer Reading Programs for kids and teens, Preschool Storytime, Toddler Boot Camp, special events and a variety of courses for families and adults, including Internet training. 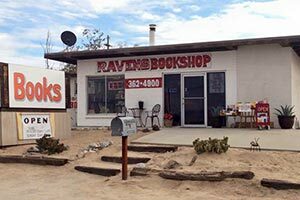 Don’t miss the Spring and Fall book sales by Friends of the Library: www.friendsofthe29palmslibrary.org.